The last week was not a good one for my bank account. However I only bought items that had been on my wish list for ages and I also think they were good investments (and even if they weren't, a girl doesn't need to justify her shopping, haha!). I have been wanting to get a Longchamp Le Pliage for 5 years! I never bought one because I thought I had enough bags and because I have been waiting for a pretty special edition. However the Longchamp special editions became more and more rare or uninteresting and I also got tired of my low quality bags really quickly. So I decided that it was time for a good (and most perfectly sized!) bag and I got this pretty purple one. If you ask me bags which you can't wear on your shoulder aren't worth a single Euro. I have gotten a really pretty wallet from my boyfriend a few years ago. I loved everything about it, the red colour, the size and the division of the compartments. Unfortunately that wallet started to look really worn-out so I wanted to get a new (really similar) one. The problem: it seems like nowadays not only shoulder bags but also none-zip wallets are being abolished! Why is everything that is useful and pretty at the same time impossible to find?! Luckily enough I entered a Fossil store last week and found this baby on sale. It looks really similar to my old wallet and the prize was unbeatable. 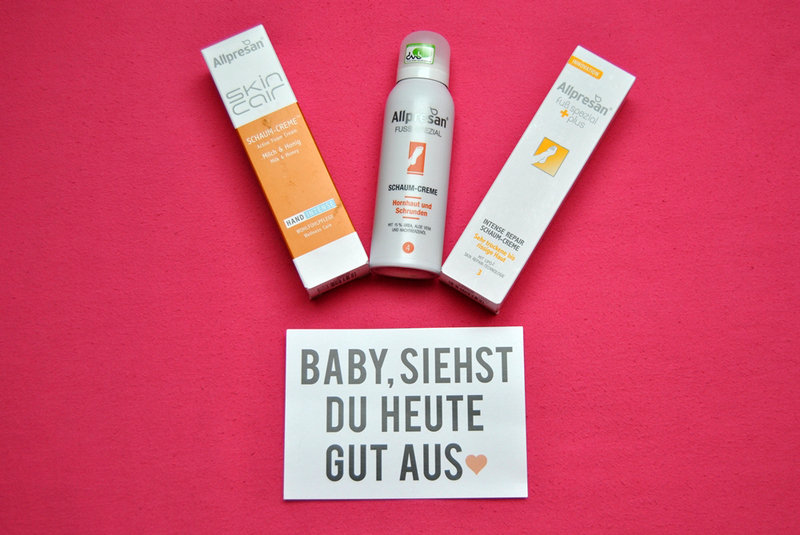 I have told you about MyStyleHit several times (if you don't remember what it is check this post). 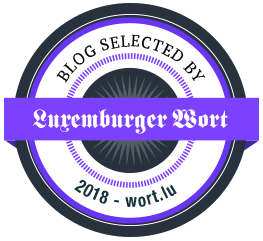 By now they are also organizing blogger cooperations so they put brand offers online and you can apply for the cooperations you like. 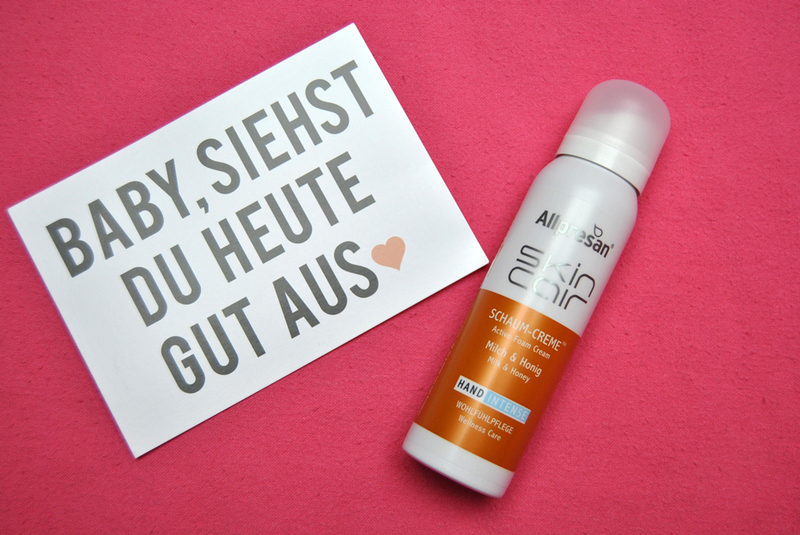 I decided to apply for a cooperation with the brand Allpresan. 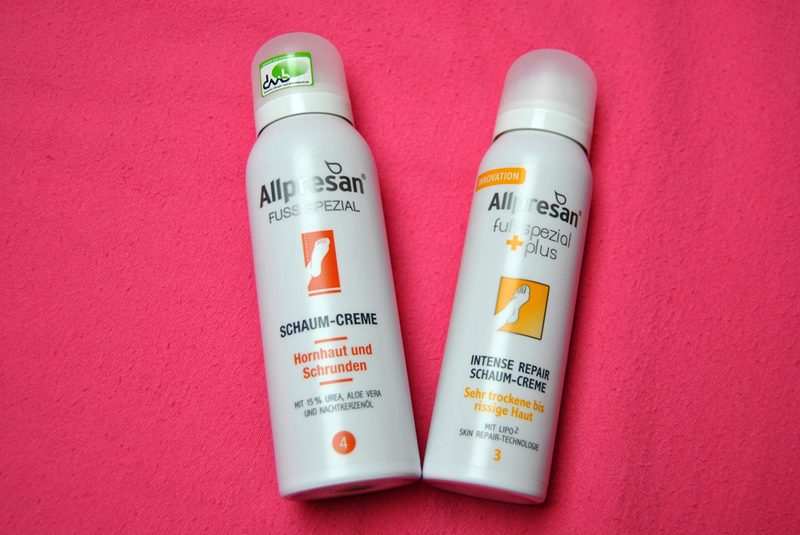 They are producing really interesting foam creams and I got two for the feet and one hand cream. When I got the box with the products I really couldn't wait to try them. By now I have been using them for several days and the result is just awesome. I will make a detailed review in about one week from now so stay tuned for that! If you already want to learn more about the products you can do so here. Honestly all the notebooks I had so far didn't like me. And I ended up not liking them either. I got a notebook when I went to university two and a half years ago and it has been having problems with charging for almost one year now... I went to two computer shops and nobody could/would help me. They just sold me a new charging unit which was not the solution to my problems. So I decided that I would simply listen to 90% of my friends who all have a Macbook and who all haven't had any problems with theirs. It's still quite hard for me to work with my Macbook as I feel photo editing is just 100 times easier with Windows. Have you been switching to a Apple computer or notebook? What photo editing programs do you use on them? Love your new items! The bag has such a beautiful shade!!! So nice shopping! And such a coincidence, I have that - or a similar one - Longchamps bag, I bought when I studied in Germany, it means, 3 years ago at least (I finished uni in 2011). At the time they were doing it personalized, so I asked my name on it I only wore it twice, but it's lovely, there is space for so many things! 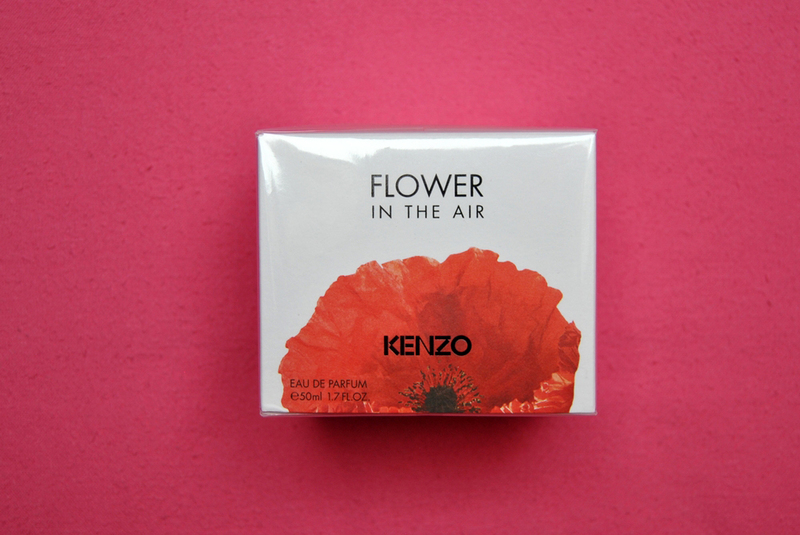 Winning Kenzo at a giveaway, wow, congratulations! 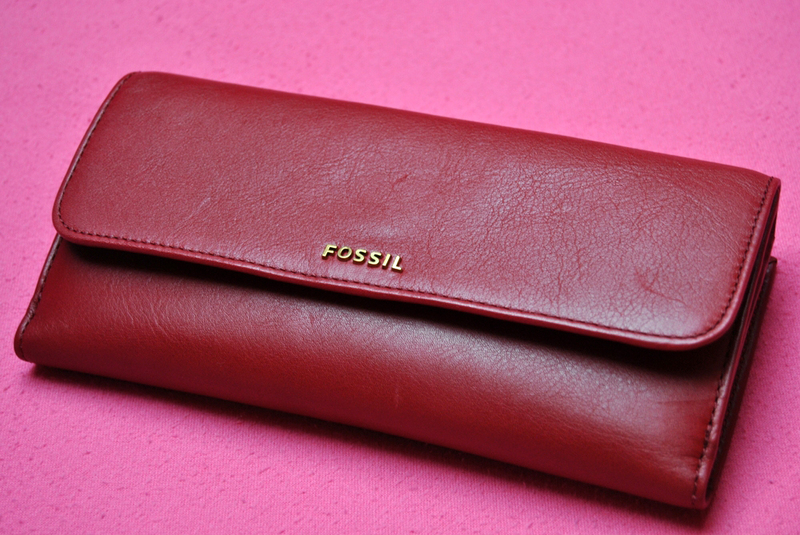 Fossil is also great, the wallet looks so pretty! I was about to change to Apple this montn, but I decided for a Lenovo Yoga for my birthday. Forgot to say, that was not why I didn't get an Apple, it's because the other had more features that suit me! I liked your new laptop and I am sure you will use it a lot! I switched to iMac in 2009 and it was one of the best things I've ever done! And as you know, today I got my MacBook Air. Windows - never again! Oh for Mac? You need to use Picasa if you want ease. It's sooo great. I switched to Apple a year ago THANK GOD. I swear Carmen blogging is so much better on a Mac. Carmen, I love everything you got girl! That tote and laptop are awesome! I'm going to need a laptop soon. I was thinking about making the switch to Apple. Love their designs, but just scared too. I'm so use to Windows. I use piccy as a photo editor. COMPLETELY AGREE WITH THE BAGS AND WALLET THINGS! Why don't they make wallets with enough compartments and SEPARATE zipped up sections for your coins? I've been using my trusty Gucci wallet for over 6 years now, it's been spilled with all kinds of crap, coffee, water, soft drinks, perfume. EVERYTHING it's still ok, but colour wise has darken considerably. Thinking of going back to a classic Louis Vuitton since they seem to be the only ones who keep the more pocket thang going. But need to save up for it hahaha! Ah, die Allpresan-Produkte ;) die habe ich auch und finde sie super! absolutely in love with this new goodies... enjoy dear! 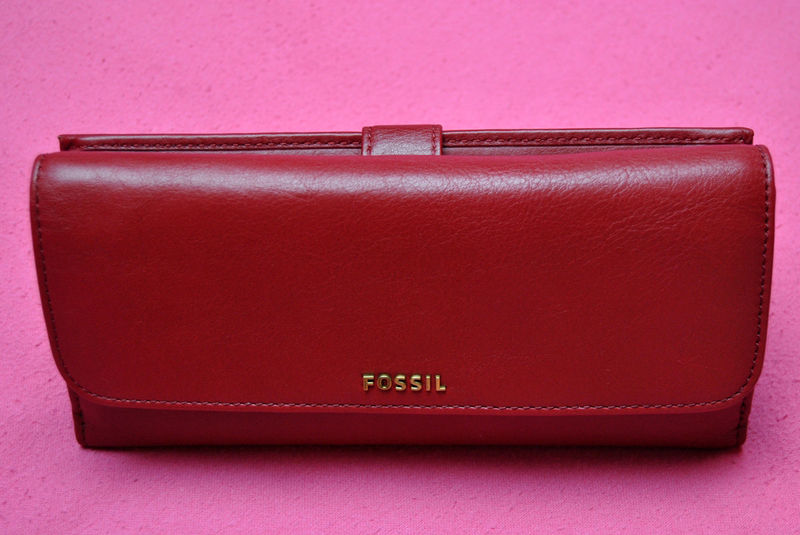 love the colour of the wallet an love Fossil. Your new bag is perfect ! 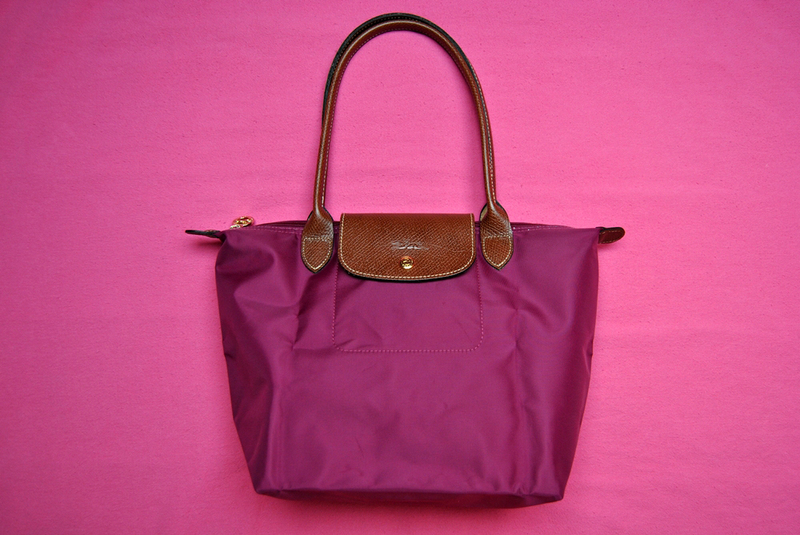 Interesting blog post:) I am a longchamp fan. I have the same color as you. Hope you 're enjoying the lightness. Major plus point, the strap doesn't cut into your shoulders despite loading the bag with heavy goodies.